It's official: the turtleneck is fall's newest staple. Designers like Phoebe Philo at Celine and Raf Simons at Jil Sander resurrected the turtleneck last year by layering it under feminine pieces, like a silk blouse and dress. This season Phillip Lim, Erdem, and Alexander Wang rendered the white staple in various colors, patterns and textures. I'm buying into the turtleneck trend, because it's functional (i.e., will keep me warm) and stylish, plus it will allow me to extend the life of some of my warm-weather pieces. 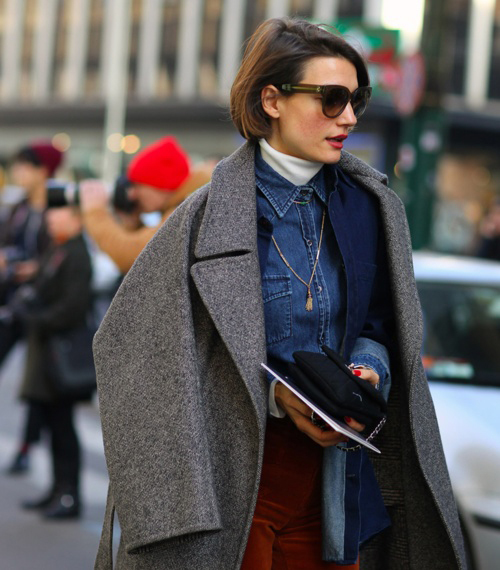 I will wear a turtleneck layered under everything from a short sleeve top to a sleeveless dress, or simply on its own. Here are a few of my favorites from J. Crew (it's tissue-thin and therefore made for layering, and I also LOVE this striped one), Altuzarra (the ultimate statement) Gap, Splendid (especially cute under a white lacy dress or delicate Victorian-inspired top), and Tory Burch (a striking stand-alone piece). I love the way a turtleneck looks in theory, or on a model, or in an editorial spread. But I feel like when you're a shortie (like me), you just end up looking a bit chubbier than you need to. But maybe it's just a matter of finding the right turtleneck? I'm with Natasha, but my figure issue is a large bust. I've found turtlenecks horribly unflattering. What do you think?